Wine is an ever-changing, living thing. So, how do you stop the yeast from working? How do you remove unwanted proteins that can “haze” the wine? 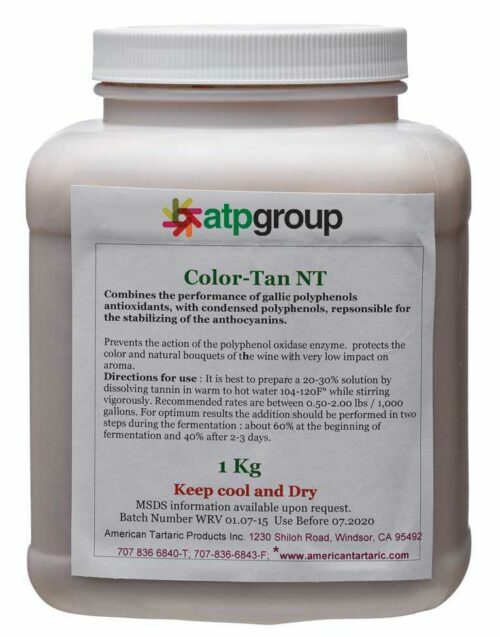 ATP offers winemakers a complete range of Enology Products, from fermentation supplies, tannins and enzymes to stabilizers, clarifiers and antioxidants. 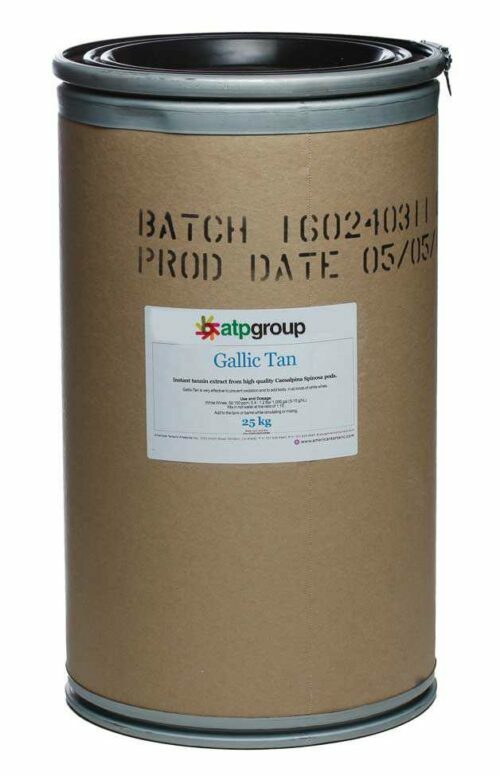 High electrical charge gelatin produced with the specific goal of improving flotation processes, both batch and continuous systems. Recommended for extreme winemaking conditions. 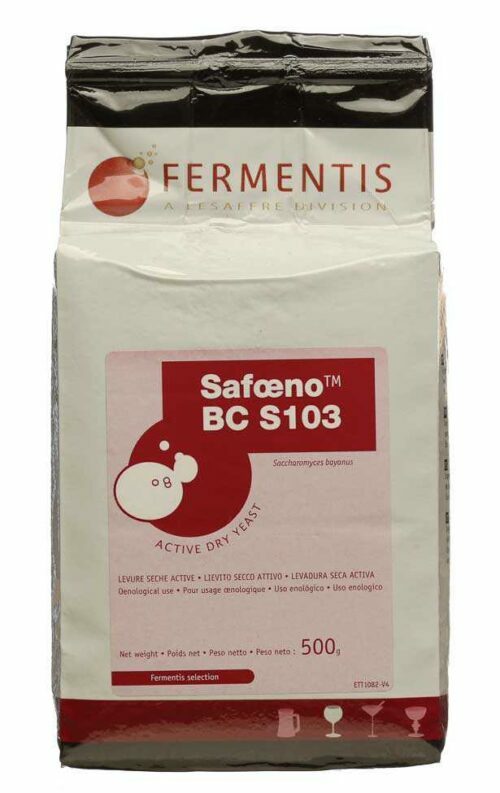 BCS103 is known for clean fermentations that respect the varietal character. Unique composition designed to add complexity and structure to red and rose wine styles without imposing itself or 'blemishing' the wine. Selected in the Loire valley on Sauvignon blanc this strain is well suited to very intense aromatic whites and roses. 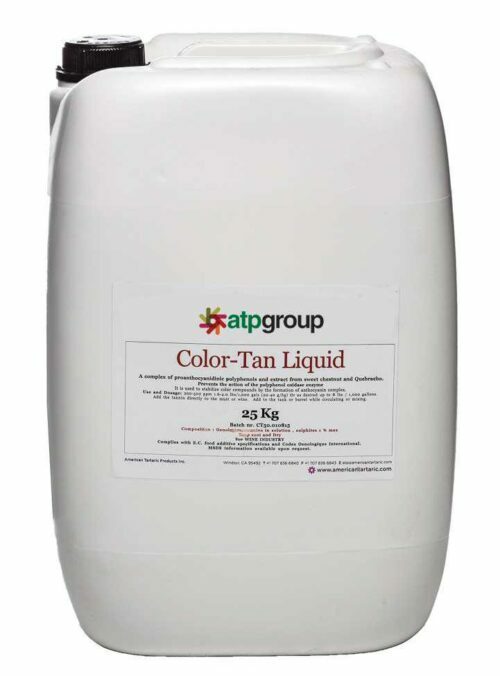 Highly purified fish protein, produced with an innovative process to maximize surface charge without the need for pre-dissolution in water. 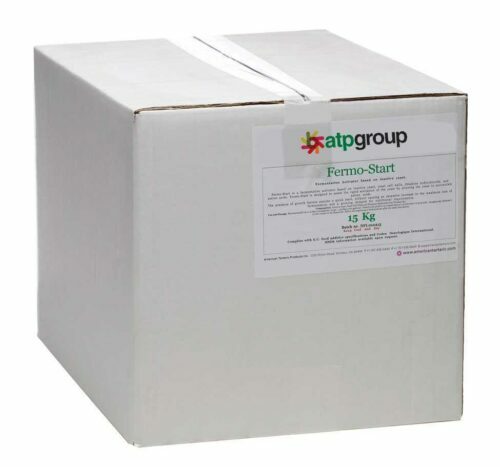 Highly effective fining agent formulated to selectively reduce the content of micro catechines in wine generally responsible to cover wine aromas. 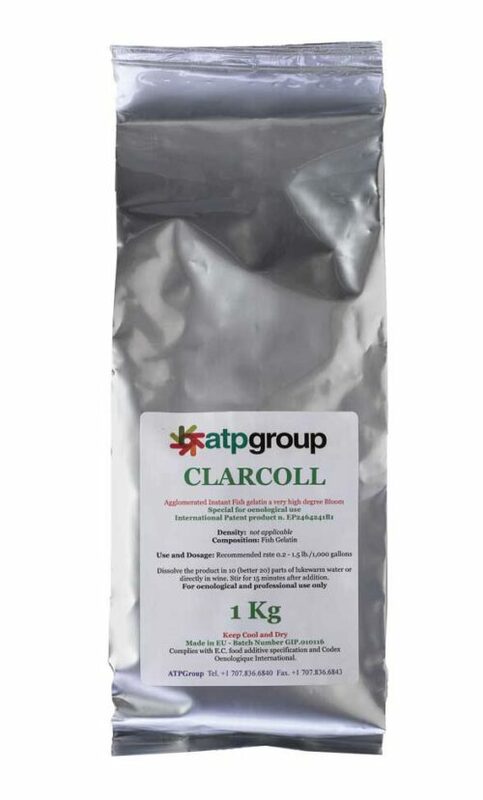 Clarmix is also effective on reducing brettanomyces off aromas. 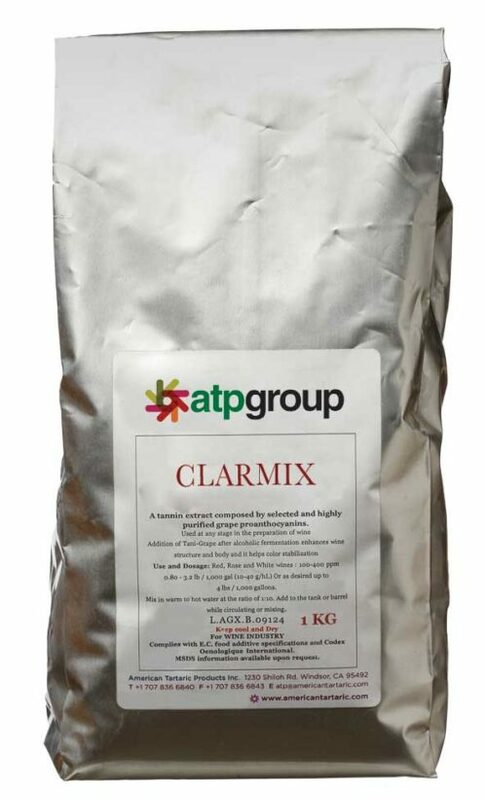 Clarmix is the ideal tool in the hands of the winemaker to achieve a very accurate clarification result. 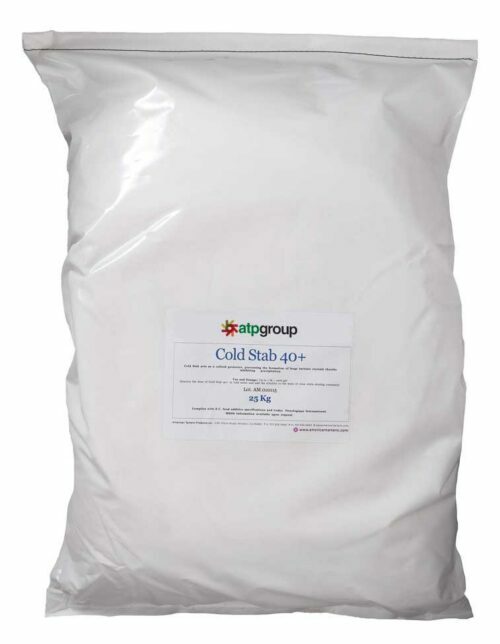 Coldstab Cel is a specific carboxymethylcellulose (CMC) solution for stabilization of wine by prevention of tartrate precipitation. 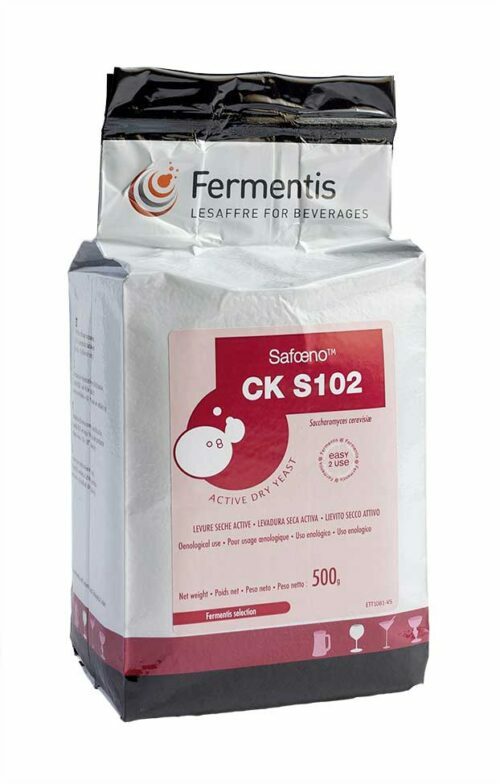 Optimized for enological use, this 10% solution has a high stabilizing strength and does not impact the filterability of a wine when used according to manufacturer’s instructions. 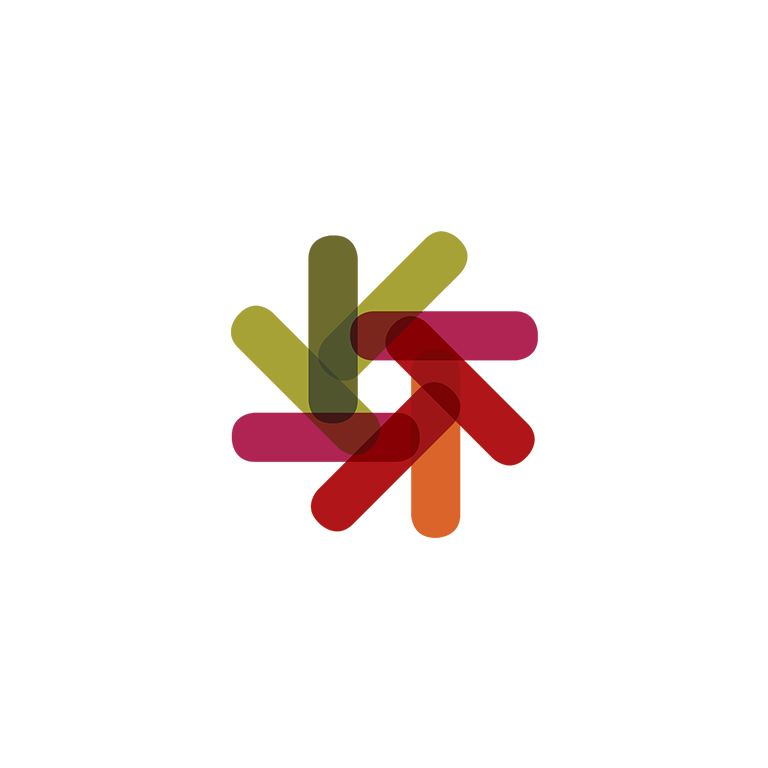 For producing wines with smooth, full body and rounded structure by reacting with unstable proteins in the must. 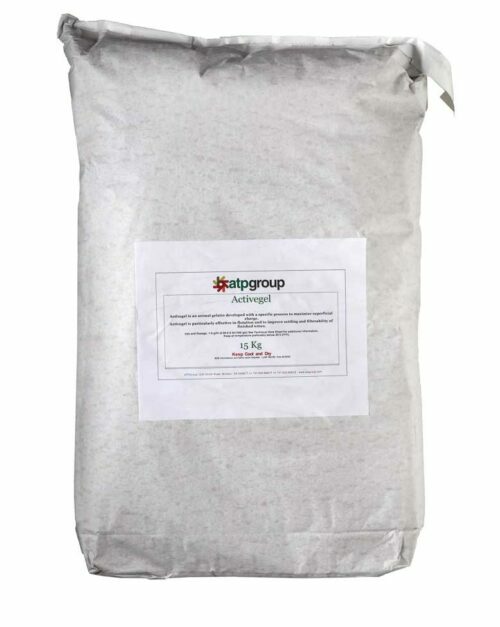 Formulated for its gentle impact on aromatic and flavor components while enhancing mouthfeel. Especially desirable when used with more delicate red grape varietals e.g. 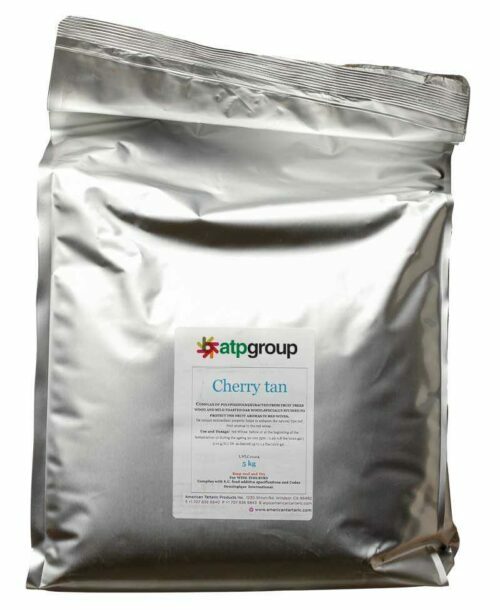 Pinot Noir or Merlot, which are low in natural tannin content. 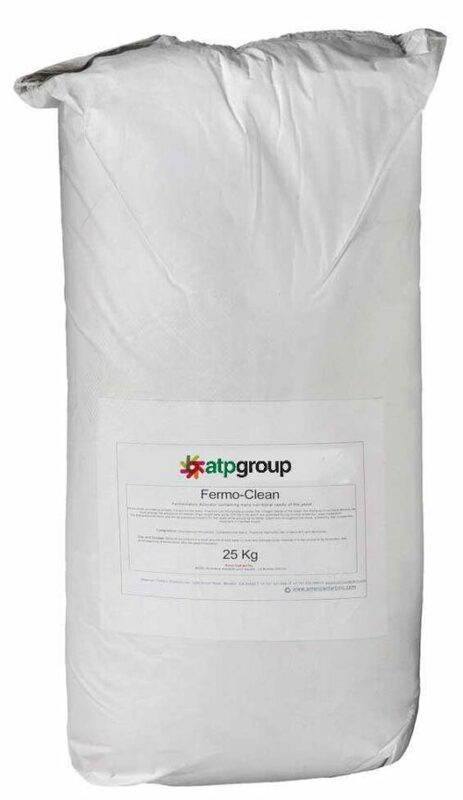 An Ascorbic Acid and SO2 based blend giving maximum protection in preventing oxidation in finished wines as a pre-bottling addition. 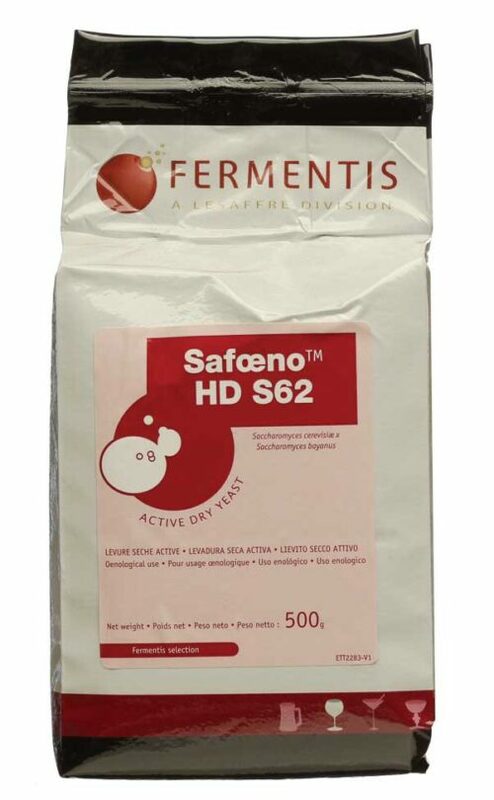 This complex yeast nutrient's Alphacellulose fibers detoxify or “Clean” the must through the adsorption of medium chain length fatty acids (C6-CB-C10) produced during fermentation. 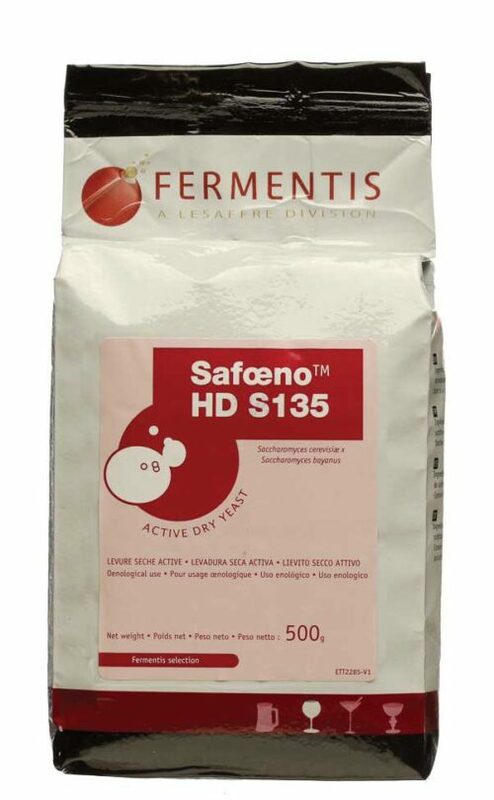 Designed to assist the rapid activation of the yeast by allowing the yeast to accumulate amino acids. 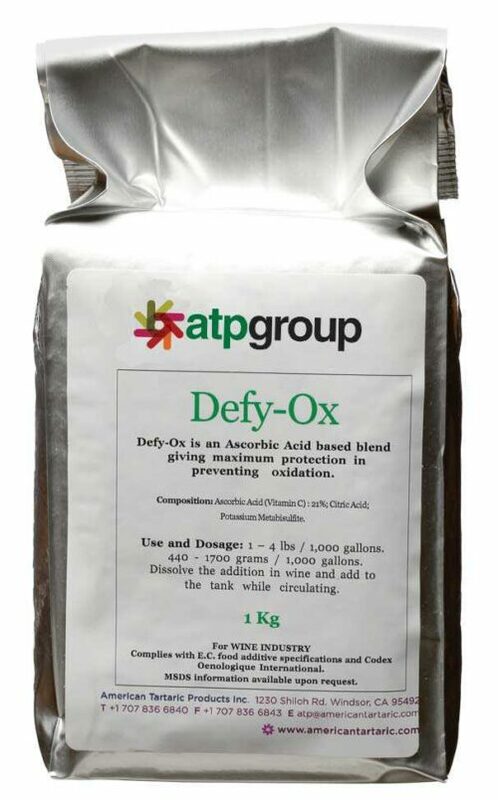 Protects juice and wine from standard oxidation and the effects of Botrytis infected grapes. 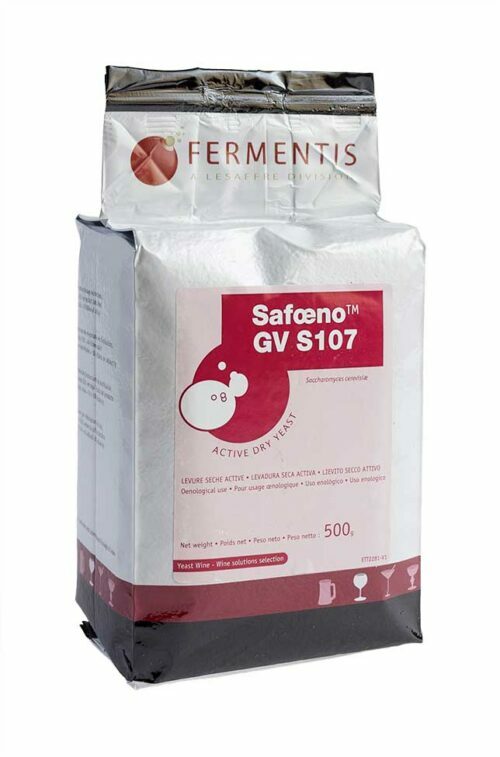 Latest release in the Fermentis yeast range, GV S107 brings roundness and high aromatic expression to premium white wines. Recommended for the production of harmonious, full bodied wines with persistent fruit. Recommended to produce deeply colored and structured wines.